AirVisual Pro displays immediate, accurate air quality data both indoors and out, to help you create healthier, more productive environments. Instantly see invisible threats in the air, understand where they come from and take control with the Pro’s tailored recommendations and alerts, and IFTTT (If This, Then That) smart home integration. Not all sensors are created equal - and where health is concerned, precision matters. The Pro combines cutting-edge laser technology, airflow control, and a crafted calibration algorithm to achieve the most accurate data available on a consumer device. Compare indoor ratings from the AirVisual Pro’s sensor with outdoor ratings taken from your nearest monitoring station* to discover sources of pollution and ensure you are always breathing clean air - indoors and out. Be proactive in avoiding harmful outdoor air pollution. AirVisual uses in-house data and machine learning to forecast air quality in 10,000+ locations worldwide*, helping you stay prepared and plan your activities for the healthiest times. Link your AirVisual Pro to all your connected home technology, or set up alerts about air quality changes for your smartphone, to take immediate action when air quality exceeds your standards. Take measurements anywhere you go - using the Pro’s internal battery and data storage. Then, download your data wirelessly - or access it through the AirVisual’s website dashboard or #1 rated air pollution app for analysis. Many places around the world still lack local air quality data. By placing your AirVisual Pro outdoors and designating it as a public outdoor station, you become a data source - providing neighbours, researchers, and policy advocates valuable information about your local community. Transmit ambient temperature data wirelessly to your device with the tempe external wireless temperature sensor. Attaches to your pack, jacket or shoe. Need a Garmin device to get readings. Temperature logger. Collects air temperature. Examples of uses: research, transport, room temperature monitoring. Needs additional data reader to download information onto a computer. Temperature probe that plugs into iPhones or Android devices. Measures air temperature and records into Thermodo App. Practical for both indoor and outdoor use, the Lasergrip 774 lets you safely measure surface temperatures from a distance while still maintaining laser-sharp accuracy. Measure extreme temperatures ranging from -58°F (-50°C) to 716°F (380°C) without ever needing to come in contact. Use the infrared temperature scanner for a high range of applications, from internal electronic components to oven temperatures. With user-friendly operation and a temperature measurement range that surpasses boiling points, the possibilities are endless. Created to raise air quality awareness, Atmotube is a portable device that lets you keep tabs on the air you're breathing straight from your smartphone. This handy monitor combines a unique multi-gas sensor, ultra-low power consumption, and advanced algorithms to give you real-time measurements of harmful Volatile Organic Compounds (VOCs), carbon monoxide, and more on the go. The built-in LED indicator gives you a quick air quality score at the push of a button, or you can take a more detailed look at potentially present pollutants via the app. 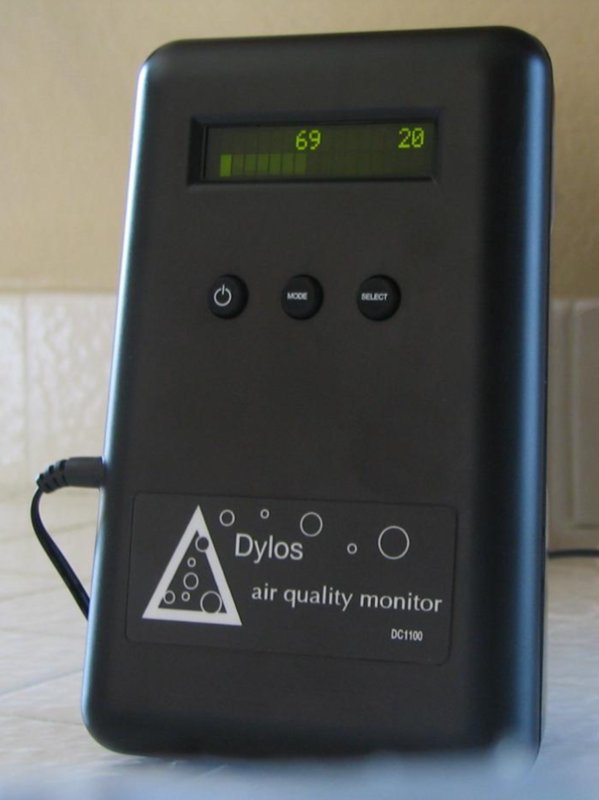 The Dylos DC1100 Pro Air Quality Monitor is a sensor designed by the Dylos Corporation. The sensor is a Laser particle counter which differentiates between large and small particles. The detection levels for the DC1100 Pro is 0.5 to 2.5 ug/m^3 for small particles, and larger than 2.5 ug/m^3 for large particles. The DC1100 Pro is specialized as an indoor air quality sensor, providing data records on the built in LCD screen in multiple mode formats, including minute, hour, and day histories. The DC 1100 Pro can also be connected to a desktop computer to monitor data continuously through a data logger (additional program provided with the sensor). This is a 3-D printable microscope with a mechnical stage to move the sample. Optic choices range from a webcam lense to 100x. 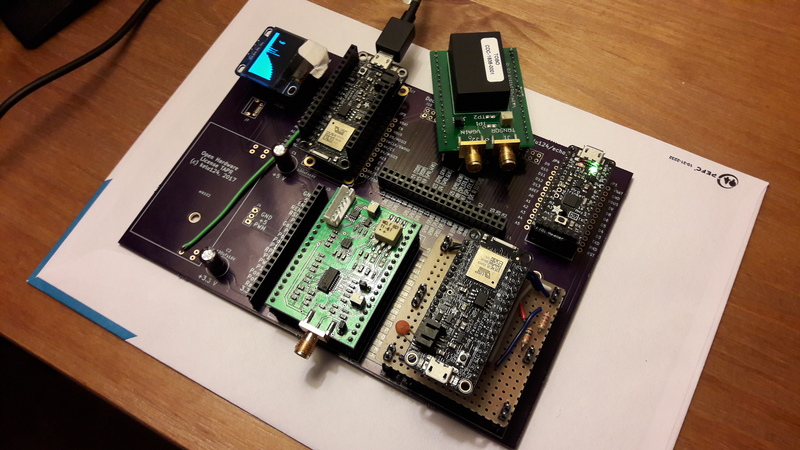 This kit includes materials needed to participate in NASA's Radio JOVE project including the Radio JOVE Receiver Kit, Antenna Kit, printed construction materials, RJ Reference CD, Radio-SkyPipe, and Radio-Jupiter Pro software Licenses. Prior to participating, groups must submit an application form. Non-mercury thermometer used to measure the temperature (°C) of water samples. Handheld meter used to measure the pH and temperature of water samples. Handheld meter used to measure the conductivity, total dissolved solids, pH, salinity, and temperature of water samples. Handheld meter used to measure the dissolved oxygen, percent saturation, and temperature of water samples. The Citizens Soil Sampling Toolkit addresses the concerns of citizens who want to know what levels of chemicals are in their garden, in the surface of bare soil around children’s playground equipment and in their yards due to environmental toxins. These high-exposure areas are of concern due to potential health impacts. Our kit empowers residents to sample their own property and trains them in the use of established principles and protocols. CSCR then can help guide citizens in the interpretation of results and provide the tools to advocate for environmental health and justice. This meter is a great tool for measuring specific conductance, or conductivity. A bulk parameter that measures the ability of water to pass an electrical current. Great for establishing a baseline for stormwater, salt runoff, inorganic pollution. The WT-SU1 Dynamo is an air quality monitor that measures ozone. The Vaisala AQT410 is an air quality monitor that measures NO2, NO, CO, H2S, SO2, and O3. Data is sent to a web based database. The TSI Air Assure Sensor monitors PM2.5. Ideal for indoor environments, this monitor provides real-time accurate data. Spec Sensors are air quality monitors that measure CO, NO2, and Ozone. Smart Citizen collects CO, NO2, temperature, humidity, light intensity and noise data. The Sensaris Eco PM is an air quality monitor. The APPCD PID is an air quality monitor. 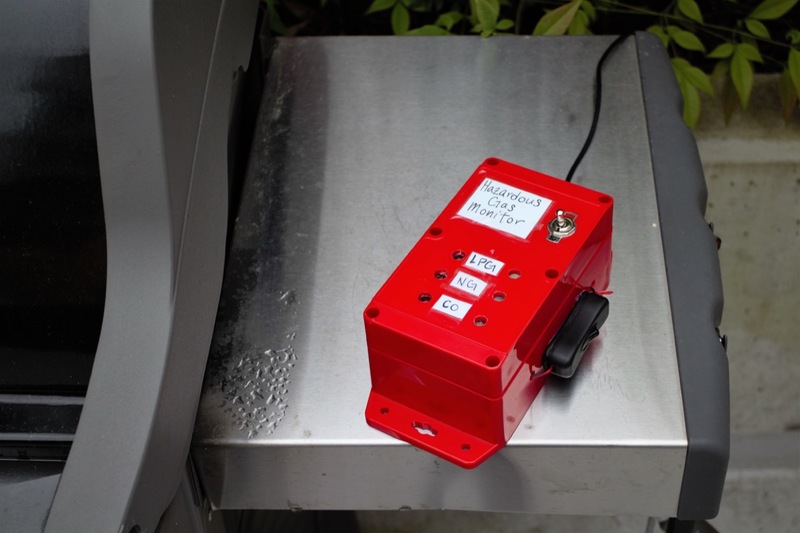 Atmos measures air quality data in real time for PM1, PM2.5, and PM10. The data is stored with free data and dashboard. The Atmos sensor requires a SIM card to send data over a cellular service. The AQY 1 measures PM2.5, NO2 and O3 at the same time. With its rugged, waterproof design, the AQY1 is idea for outdoor monitoring and can be used for mapping pollution sources, roadside monitoring networks, validating air quality models and more. The Laser Egg is a handheld device that measures fine and coarse particles (PM 2.5 and PM 10). The partector is small, lightweight and easy to use nanoparticle monitor. This handheld sensor provides real time measurement of PM 2.5, carbon dioxide, humidity and temperature. The ELM monitors air quality by measuring gasses (O3, NO2, VOC, NO, SO2), particulate matter (PM 10), noise, temperature, and relative humidity in real time. The data is transmitted via wifi. 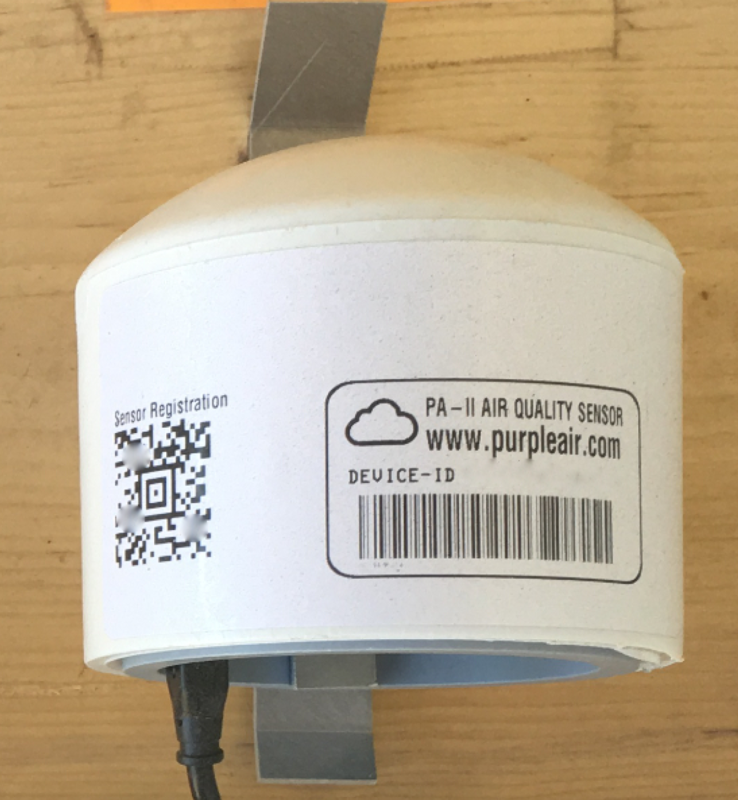 Purple Air (PA-II) is an air quality monitor that uses dual lasers to measure PM1, PM2.5, and PM10. The sensor also measures Relative Humidity and Temperature. Purple Air II (PA-II) is available in two versions: SD data memory and WiFi data transfer. Use the Purple Air PA-I for indoor air quality monitoring. This tool measures PM 1.0, 2.5, and 10. It also measures temperature, pressure, and humidity. 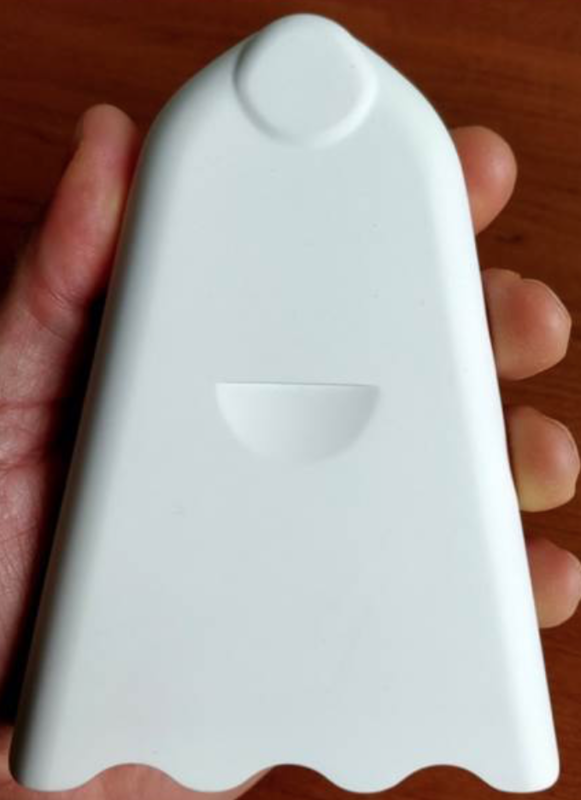 This handheld device measures PM 2.5 and formaldehyde. Use FooBot at home to monitor your indoor air quality and learn how it is related to your activities. 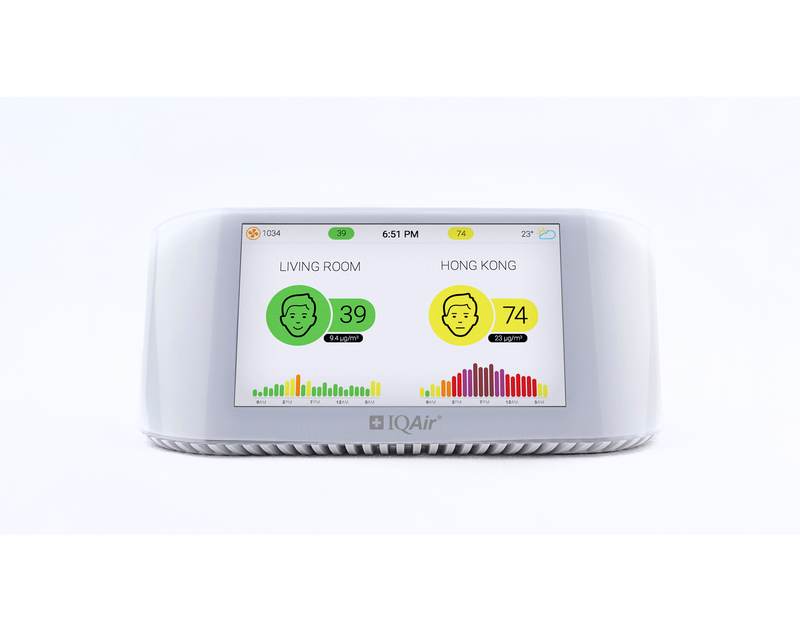 Cair is an indoor air quality monitor for those with concerns about asthma or allergy triggers. Use AQMesh to understand local air quality - both particulates and gases. The OPC-N2 measures particles from 0.38 to 17 microns through PM readings and real time particle size histograms. This multi-functional ozone sensor circuit is designed to be integrated into other equipment by Original Equipment Manufacturers. This sensor is recommended for the following applications: ambient air quality monitoring, low cost sensor networks, medical devices, HVAC, ozone generator control, food and beverage, sanitation, or refrigeration. This Personal Ozone Monitor (POM) is FEM certified. It is small and lightweight. The built in GPS allows geographic location and ozone measurements to be logged continuously. This device is powered by battery and can be used for personal health monitoring, vertical profiling, long-term monitoring at remote locations and more. The Raspberry Shake 1D it a fantastically accurate seismograph you can use in your home, office and/or classroom. It uses 1 vertical geophone as its sensor - a very sensitive yet rugged Earth motion microphone widely used in the oil and gas industry, to detect seismic vibration. The Aerocet 831 is a handheld, portable particle counter designed for measuring indoor or outdoor air quality. Use the Pure Morning P3, a portable air quality monitor, to measure PM 2.5, HCHO, CO2, temperature and relative humidity. 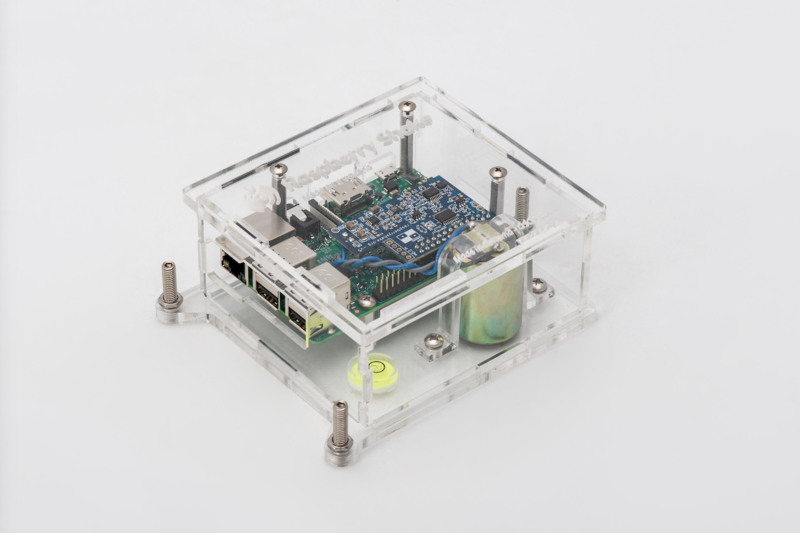 AQMesh is an air quality monitor designed to measure gases, particulates, and more. The device is installed and monitored via wireless communications. Use the Air Quality Egg to monitor pollution in your community through a variety of sensors. A phone app, web dashboard, and enabled wifi allow for easy monitoring and data comparisons. Use this chart, provided by Earthworm Watch, to identify earthworms and soil types. Use these disposable test strips (25) to test for Nitrates and Nitrites in the water. Use these disposable test strips (40) to test for chloride in water. 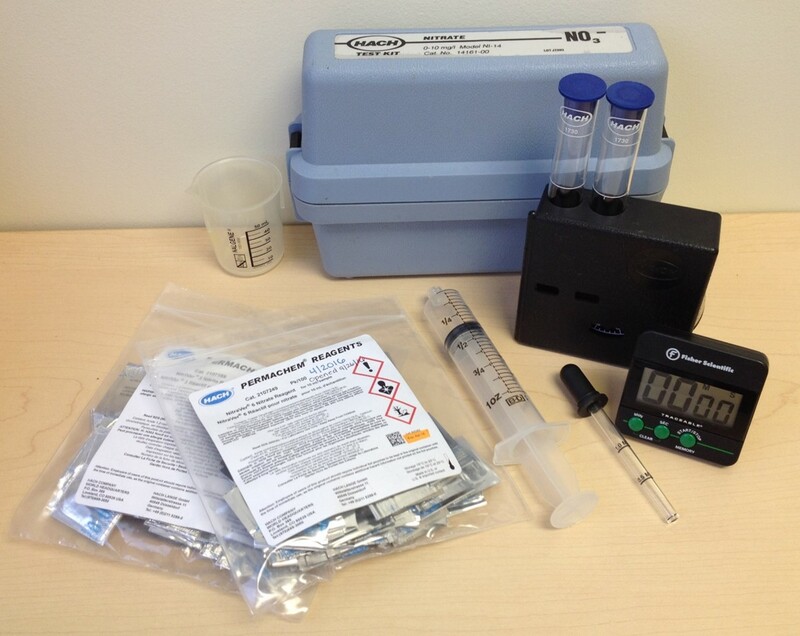 Use this kit to test for phosphates in water. A variety of visual kits are available using either the Stannous Chloride or Vanadomolybdophosphoric Acid method. Kits vary in Range (anywhere from 0-12,000 ppm) and MDL (anywhere from 0.05 ppm to 200 ppm). Each kit includes enough materials for 30 tests. Refills can be purchased. Use the CHEMetrics dissolved oxygen test kits to visually test for dissolved oxygen in the water (one indicator of water quality). Several kits are available. Search by desired Range (0-180ppb) or MDL (0.025ppm-5ppb). Each kit comes with enough supplies for 30 tests - refills are available for purchase. Use this thermometer to measure the temperature of water (-5 to 50 degrees C in 0.5 graduations). Thermometer is in a plastic case with a window opening for protection. Use this tool to collect a sample of soil. 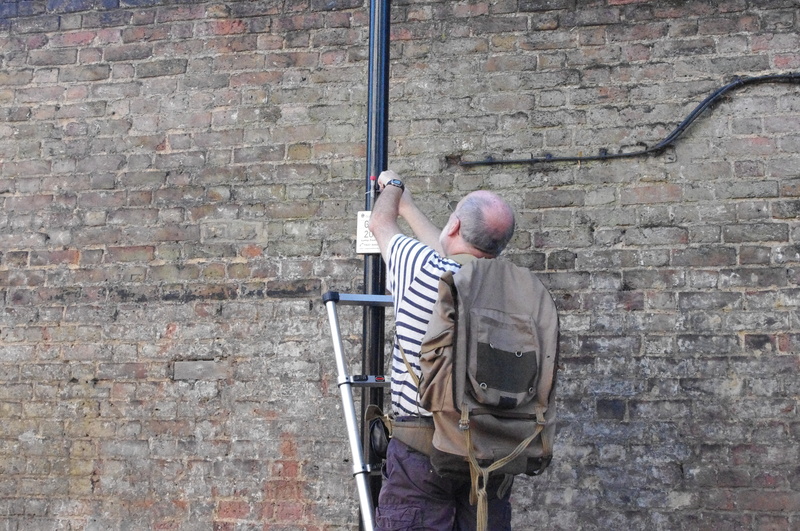 Borrow this equipment from the National Bat Monitoring Programme (UK) to help with your bat studies. Use the clinometer to calculate gradients or angles of slope. Use the secchi disk to compare suspended sediment in water quality studies. Use the densiometer to estimate canopy cover. Use this tool to compare the compactness of soils in two or more study sites. Use this grid to define a study plot. Quadrats can be used to estimate coverage (plants, land use, cloud cover, species, etc.) of an area. Disposable test strips that measure 0-14 pH. This beginner microscope is designed small so it is easier for children to use. It provides 40x, 100x, and 400x magnification. Use this magnifying glass to view with 3x magnification. A built-in LED light allows for use in poorly lit areas. Use this box to hold and magnify insects. Provides 20x or 40x magnification. Use these common household items to help collect and sort macroinvertebrates while conducting water quality studies. In addition, you will need an aquatic net. Use this key to identify macroinvertebrates in rivers during water quality studies. This leaf litter trap is used by the North American Baldcypress Swamp Network to capture autumn litter fall in swamps. 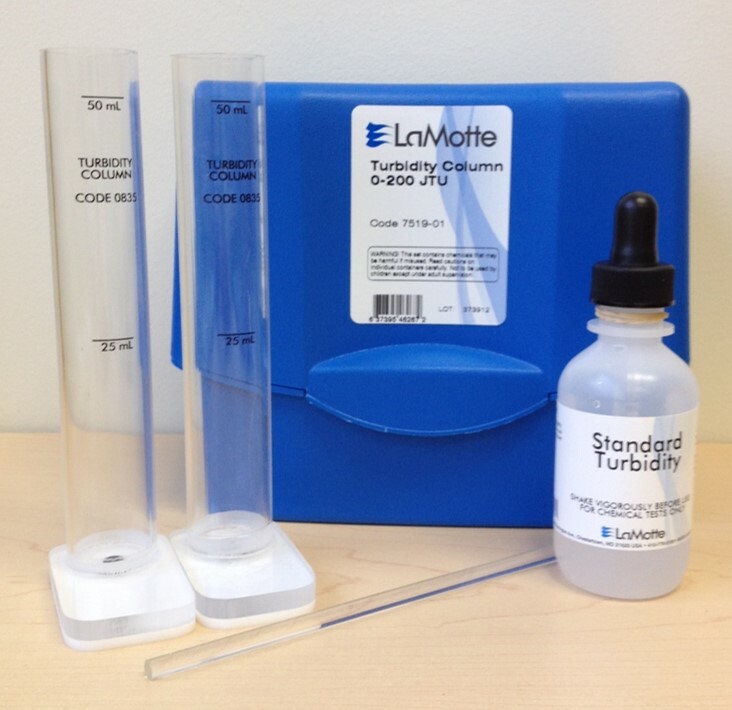 This kit includes enough materials for a single individual to participate in water quality testing. Kit includes secchi disk, thermometer, phosphate tablets, dissolved oxygen tablets, pH tablets, nitrate tablets and more. Kits also available for classrooms. This kit includes a heat lamp, digital balance, soil collection tins, infrared thermometer, rain gauge, and graduated cylinder. This collection of items can be used with the project, GLOBE: El Nino, as you investigate local climate. Use the Chytrid sampling kits to swab the skin of frogs. Once returned to the lab, swabs are analyzed for evidence of the disease, Chytrid Fungus. Kits contain sterile swabs and vials. Citizen Scientists swab a frog skin and mail the vials back to researchers searching for evidence of chytrid DNA. If you are a teacher in Oklahoma, you can request a kit Jan-March. Kits are mailed in March, but must be returned by June. This water monitoring kit is for loan to schools and youth community programs participating in River Detectives (a program in Victoria, Australia). Applications are required. Use this pitfall trap to collect insects outside. If you live in Oklahoma, record what you find for the Banished Beetle Project. Create this kit to collect ants using common household items. Use the kit to collect ants. Use the net for insect collecting. 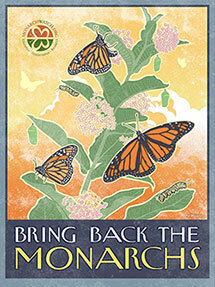 Schools and educational nonprofits that are creating monarch habitat or butterfly gardens can apply for one free flat of 32 native milkweed plants. 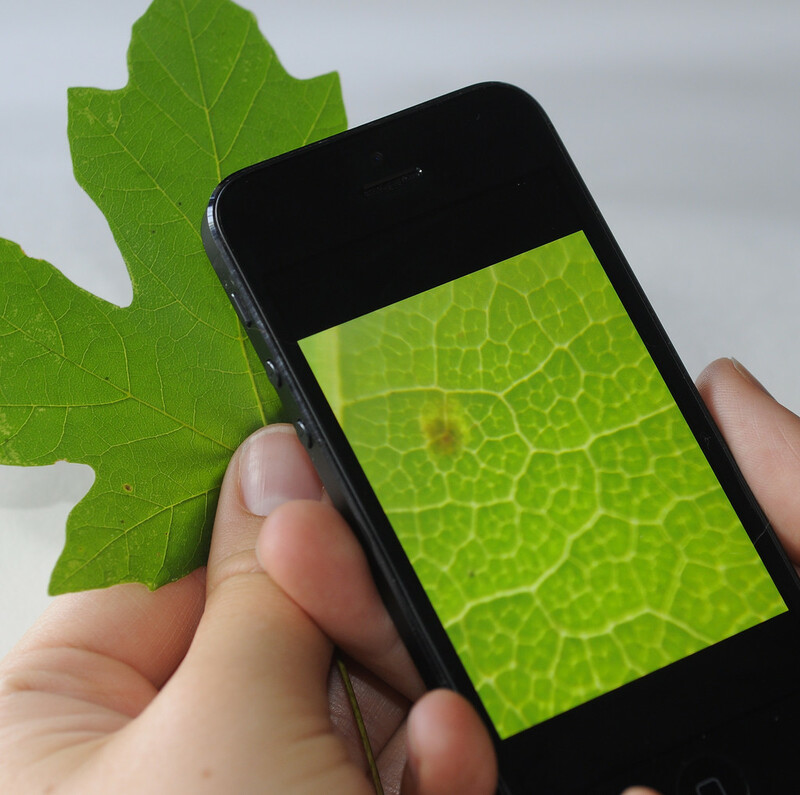 Use an infrared camera to take photos for assessing plant health. The Cat Tracker is used to track the GPS movements of your cat. Filter forceps are used for handling delicate laboratory items. This guide helps the user identify plants in the Pacific Northwest. If you live in North Carolina, use the camera trap to document wildlife for North Carolina's Candid Critters. A camera is used for documentation. This waterproof model (up to 30 meters) can record video for 90 min. with a fully charged battery. This camera trap is ideal for capturing images of wildlife. This model takes photographs (0.3 trigger speed at 3, 8, or 12 MP resolution) or video (720p) with an 80 ft. infrared flash range. This camera trap is ideal for capturing images of wildlife. This model has infrared night vision up to 50 ft. and the enclosure is weatherproof with a temperature range of -20F to 120F. A bat detector helps users identify bat species based on echolocation calls. A bat detector helps users identify bat species by echolocation call. Bat detectors are used to help users identify bats. Buoys are used in water studies. Pacific Whale Foundation provides beach clean-up kits to volunteers. Kits include gloves, recycled bag, and datasheet. The goal is to monitor marine debris on Maui's coasts. The soil core sampler can be used to collect a sample of soil for soil density studies. The D-Frame net can be used to sample macro-invertebrates in streams with muddy or gravel bottoms. Use the kick-seine net when looking for macro-invertebrates in streams with rocky bottoms and riffles. The Dusttrak 8530 is used by the West Oakland Environmental Indicators to measure the PM levels in the air near homes and schools in the community. This PM logger is portable and records what residents breathe at ground level. The yardstick is a tool for measuring length or distance up to 36" or 3' at a time. The Fitbit tracks your activity, exercise, sleep, weight and more. This DIY water velocity meter gives an approximation of how quickly the water is moving. By multiplying this measurement by the area of the stream, on can calculate stream flow. Walkie Talkies are a two way radio that lets you communicate over a long distance. BioQuip sells a range of forceps to meet your insect collecting needs. This trowel is used to dig. This model is 6in by 2.75in. Tent pegs are usually used to secure your tent while camping, but can also be used to help set up a study site by securing flagging. This water resistent stopwatch keeps time at 1/100th second accuracy. The extra large display and buttons make it easy to use. This spout is for collecting maple sap. The small diameter (5/16") heals faster than traditional spouts and will reduce the damage done to the trees. This refractor style spotting scope allows the user to see distant objects from 20x to 60x magnification. The garden shovel is a small, hand-held shovel used for making small holes. These Lemon Queen Sunflower Seeds are being studied by the Great Sunflower Project. Planting the seeds helps create a study site for the project. The seed collection corer is used to sample quantitative seed densities. A memory card can be inserted into the SD Card Reader to allow the content to be accessed through a usb port. These oviposition cups, when filled with water, provide a habitat for mosquitos in which to lay their eggs. The meter stick is used for measuring size or distance. This lens allows for photos of distant objects with 10x magnification. 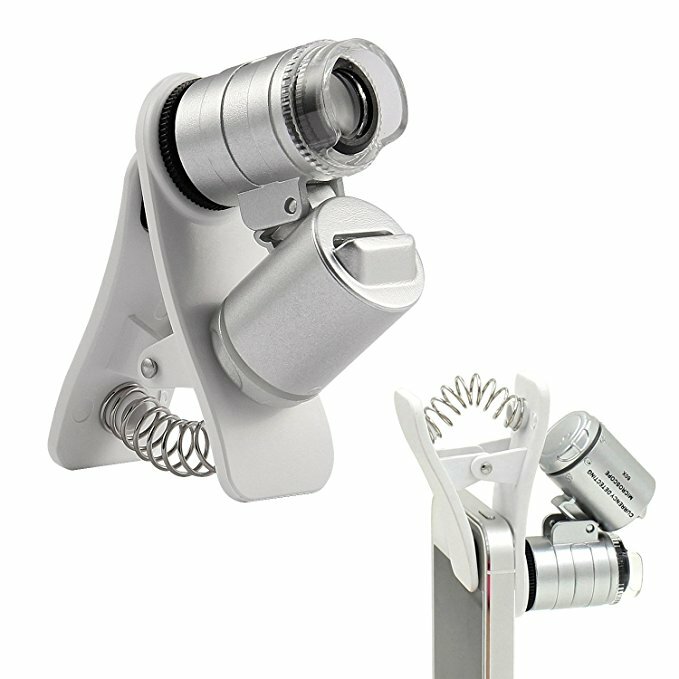 It clips onto your smartphone or tablet to enhance the existing camera in your device. The integrated tube sampler is used to collect water and then run that sample through a flourometer to determine the amount of chlorophyll and phycocyanin. Use the heat lamp to increase the temperature in the lighted area. Although often used for reptile care, heat lamps can also be used for citizen science when a sample needs to be dried. You aren't required to identify the dragonflies and damselflies that you find, but there are several guides that will make it easier for you in the long run. Not required. Insect nets can be expensive, so a lightweight fishing net with small holes also works well (and is a lot cheaper). A fish landing net is cheaper ($20+) whereas a dedicated insect collection net can go for $50 or higher for the more Odonata centric models. Fish landing nets can be acquired from your local outdoors store or even large box supermarket. Insect nets can be ordered from Bioquip or Rose Entomology. If you are only planning on collecting dragonflies and damselflies, I recommend going for the cheaper and easier to acquire option. A hammer is used for construction, building, assembling, or other projects that require concentrated force. This is a DIY radio receiver. For amateur radio operators who are interested in doing their own hardware, this dongle allows direct reception below 30 MHz without an up converter. This converter allows amateur radio operators to listen to MF and HD through existing software defined radio (SDR). Germination paper can be used to start seeds, but in the Invasive Mosquito Network, it's used to store mosquito eggs for transportation. The MultispeQ v1.0 combines the functionality of a handheld fluorometer, a chylorophyll meter, and a bench-top spectrometer. The tool connects to the photosynQ network via desktop or Android phone. The hail pad is placed outside prior to a storm. After the hail has passed, citizen scientists can assess the size of the hail based on the indents left in the hail pad. This ring stand is used to support glassware during chemistry experiments. Used to seperate organic from aquatic products. The Florida Microplastic Awareness Project uses Seperation Funnels to prepare microplastic samples. Use to illuminate dark areas. Works as a hands-free flashlight. Cover boards provide shelter for amphibians and are often used in population surveys. The cover board will need to be in place for several weeks prior to beginning surveys. Use the 94" circumference hoop with a transect to aid in focusing your observation. Use the calculator for basic math. Butterfly Tags are used to track butterflies for monitoring programs. The marker buoy helps researchers identify underwater study sites. A DIY BioPrinter is able to print using biological materials. It can be used for a variety of projects. Use this scale to measure small quantities in ounces, grams, mililiters or pounds. In Ant Picnic, the L-Glutamine tablets are used as ant bait. Use this rake to collect samples of aquatic plants. This tool is typically used to keep a water vessel in one location. For use in seagrass watch, the anchors are used to hold a transect line at the base of the body of water being studied. We provide you with a single barcoded sterile dual-headed swab for collecting a single sample, two for collecting two samples, three for collecting three samples, and so on. The Loss of the Night app measures light pollution based on which stars are visible to the user. Use this kit to collect soil and send it in for analysis. Use this kit to collect ants to submit for identification. This solar paneled unit sends information gathered from your other BroodMinder devices (purchased seperately) directly to Beekeeping.io each hour. 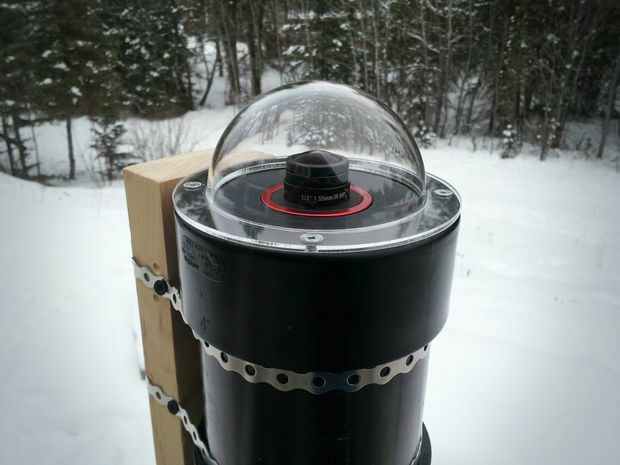 This weatherproof sensor measures and records the weight of your bee hive (up to 400lbs) once an hour for 6 months. Replaceable battery lasts 6 months. This sensor sits on top of your brood and records heat and humidity as it rises to the top of the hive. The plastic dendrometer is installed on a tree at breast height and functions like a tape measurer to determine circumference. Since it is attached with a spring, the dendrometer automatically adjusts as the tree grows. This tool is used to collect ants for identification. Auger to a depth of 5ft. in dry, loose sand. Auger to a depth of 5ft. in heavy, wet clays. Auger to a depth of 5ft. in sandy or clay loams. 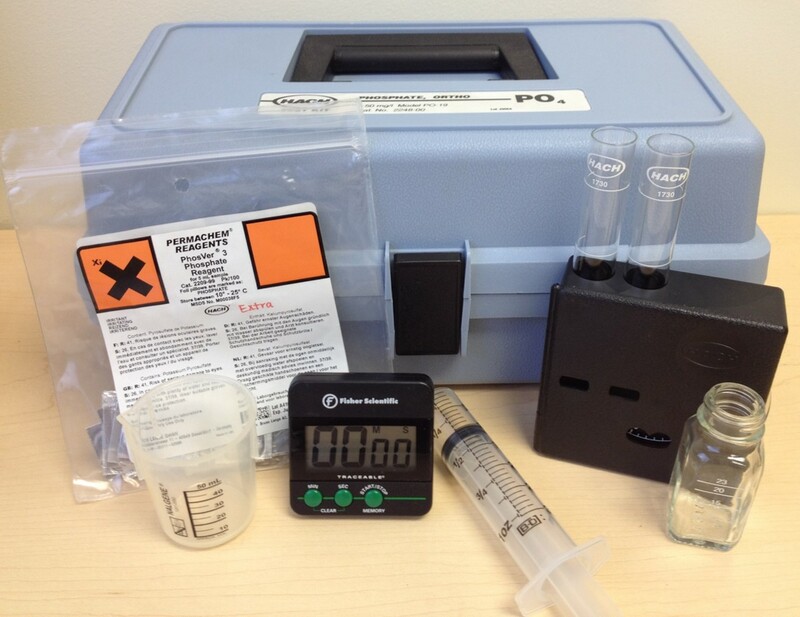 Use this kit to test soil for nitrogen (N), phosphorus (P), and potassium (K). The kit was designed specifically for GLOBE protocols. This IR Thermometer has a wide temperature range (-40° to 428°F or -40° to 220°C). The sail of the wind direction instrument will move in the wind while the compass allows the users to determine the direction of wind. This Ozone Measurement Station is a physical structure that holds the ozone test strip (purchased seperately) during testing. Measuring and recording weight, particularly for industrial applications where a common household bathroom scale is insufficient. 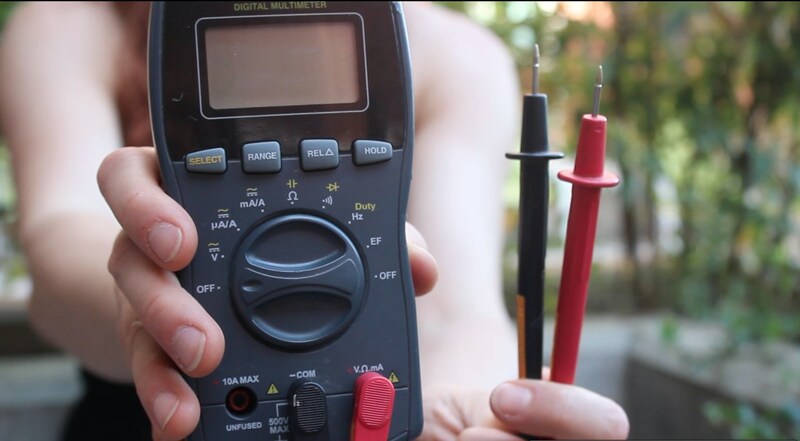 Multimeters are the most common and useful electronics tool. They are used for measuring voltage, current, resistance, frequency, capacitance, and continuity in electronic circuits. This sling psychrometer has a reservoir for automatic wick wetting and a built-in slide rule for calculating humidity based on dry and wet bulb readings. Farenheit (25 to 120F) and Celcius (-5 to 50C) models available. The altimeter is a type of aneroid barometer that uses pressure to calculate altitude and atmospheric pressure. The barometer reads atmospheric pressure and can be used to predict weather or determine altitude. These ovens are designed for use in a lab. 4 models available ranging in size from 12"x10"x10" to 18"x21"x14". The maximum temperature is 225C. This grid is designed to be used with macroinvertabrate studies. The numbered grid/collection tray can be filled with water, keeping aquatic specimen alive throughout the identification process. This sieve is designed to be used to collect macroinvertabrates. Size of sieve and mesh can vary depending on user's needs, but directions recommend a base 20 cm in diameter and 0.5 mm mesh or smaller. This 1mx1m quadrat is designed for use in aquatic studies. The D-net is used to collect freshwater macroinvertabrates for idendification in stream quality studies. This net is used for collecting freshwater macroinvertabrates. This tool is used to measure water turbidity or transparency. This tool is used to measure water transparency by slowly lowering the secchi disk beneath the surface of the water. Create your own 20cm in diameter disk with a line that is at least 5m long. Chemically test a water sample for Nitrate-Nitrogen. 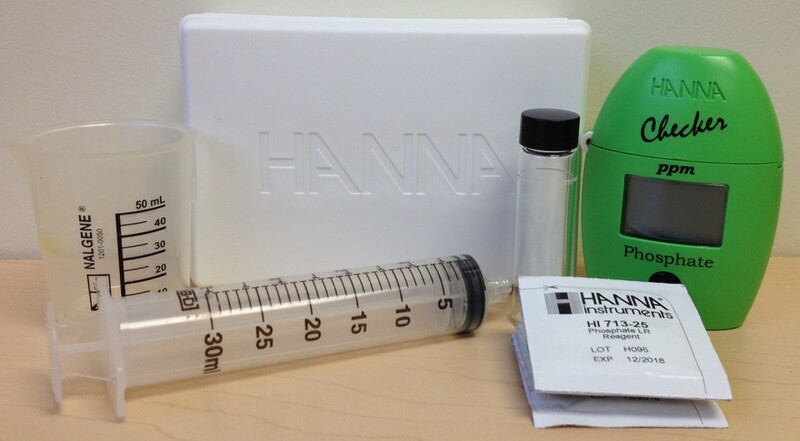 The kit comes with enough supplies to conduct 40 tests, 14 min. per test. Chemically test for dissolved oxygen in water samples. Kit provides enough materials for 50 tests, 6-8min per test. NPDES accepted. This kit provides materials to chemically test salinity and chlorinity. Readings range from 0-20 ppt at 0.4 ppt intervals. This kit provides enough materials for 50 tests, each test takes 5 min. to complete. This tool measures moisture in the soil and temperature. Provides readings from 0-200 centibars. Please Note: You will need to purchase the sensor and meter seperately. This tool is used to measure soil moisture. Operates on one 9v battery. A turbidity tube is used to measure clarity of water. This model is 120 cm. tall and includes a 4.5 cm standard secchi disk at the bottom. Water can be drained from the tube via a drain hose until the secchi disk is visible. This Secchi Disk is used to measure water clarity. This model is 20cm in diameter and comes with a 20m nylon line. These 6oz cans measure 2-3/4” dia. x 1-7/8”H. Ideal for soil samples, seeds, or small parts. This kit measures alkalinity by CaCO3 through titration. This tool measures air temperature, soil temperature and relative humidity. Mounts easily. D-Nets are used for aquatic studies such as macroinvertibrate sampling. This model has a metal frame, 12" rim and 6.5" deep canvas bag with mesh bottom. This board is used with a meter stick or snow pole in order to measure snowfall. Use this pH pen meter to test ranges from -2pH to 16pH. This meter works in temperatures ranging from -5C to 60C; it is waterproof; and battery life is 200 hours of continious use. Use the tangent height gauge to calculate tree heights. Densiometers are used to estimate canopy cover. This weather station measures wind speed, wind direction, air temperature, relative humidity, barometric pressure, solar radiation, rainfall and evapotranspiration (ETo). Use this chart for help identifying the ten basic cloud types. This chart helps the user identify cloud types. This thermometer shelter (9”W x 6”D x 17-3/4”H) will house a u-tube max/min thermometer, a temperature dial or standard thermometer. The shelter is made of wood, painted white, includes holes for ventilation and mounting holes. Meets GLOBE specifications. This pH paper allows students to measure pH values from 0-13 in 0.5 increments by color. This thermometer is ideal for air temperature or soil temperature as the 8" stem allows for immersion. Temperature range is -10C to 110C with 1C graduations. This sieve can be used to remove rocks or other items greater than 2mm from soil samples. Use this rain gauge to measure rainfall. 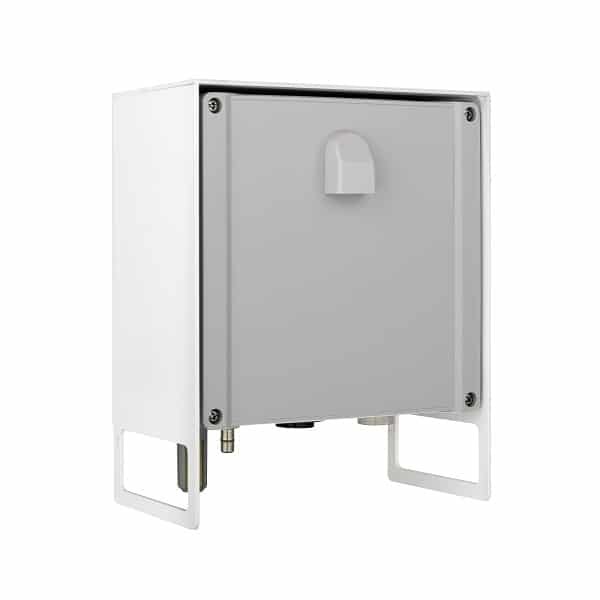 This model is made to US Weather Bureau specifications and includes a mounting bracket. English and Metric options are available. 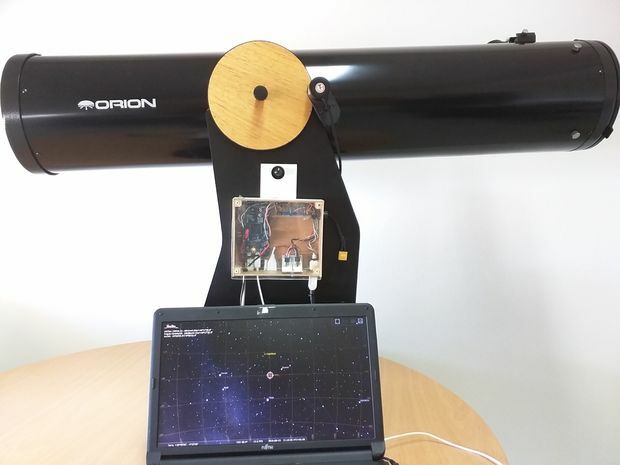 Control a simple and basic telescope (with no electronics) using stellarium. It's a very useful tool used to convert any telescope into a push-to telescope, keeping it with a very low budget. This tool measures electrical condictivity of liquid solutions. This hydrometer is designed to measure ratio density of liquid at 60°F to the density of water at 60°F. Graduated cylinders are used for measuring liquids. Choose from two sizes: 100ml (grad-1ml) or 500ml (grad-5ml). This compass can be used to determine direction. Models for both the Northern and Southern Hemispheres are available. The Munsell Soil Color Book is the industry standard for comparing soil colors, size, textures and more. By helping the user standardize descriptions, this tool allows for easy comparison between data sets. Soil Color books are used to aid soil observations, providing consistent descriptions to allow easy comparision between sites. This edition of the GLOBE soil color book features Hues 10R to 5Y and Gley colors from 10Y to 5B. Water resistent pages allow the book to be used in the field. This book allows the user to classify soil based on 208 color samples, 8 hues (7.5R - 5Y), 23 Gley colors, a soil structure ruler, and diagrams and instructions for determining soil color, structure, texture, consistence, and free carbonates. Water-resistent paper allows for use in the field. This thermometer allows you to read the maximum and minimum temperatures. It's designed for indoor and outdoor use with a temperature range of -40C/50C. This digital thermometer records the maximum and minimum temperature for up to 7 days at a time. Includes water-resistent housing, a cover for the LCD display, low battery indicator, dual channels, reset button, and auto-off display. GLOBE program approved. This measuring tape is used to measure distance, circumference, etc. This tool is used for measuring liquids up to 100mL. Once assembled and calibrated, the user manually points the sun photometer towards the sun to measure sunlight. L-Glutamine powder to use with the Amino Acids bait. This can be found at GNC and Walmart as well for under $10. Solarcast includes dual radition sensors and dual particulate sensors. It is rugged for long-term outdoor use and compact, wireless and autonomous for deployment anywhere around the globe. The Safecast bGeigie Nano is a lightweight, portable, GPS enabled, logging, radiation sensor designed to be mounted on the outside of a car window, but it can also be used with other modes of transformation (train, bus, bike, etc). In logging mode, the tool takes a measurement every 5 seconds, recording the radiation, time and location coordinates. The tool can also be used for taking static readings. Simple and handy voltmeter used to check DC voltage ranges from 3v - 30v without any additional power supply. 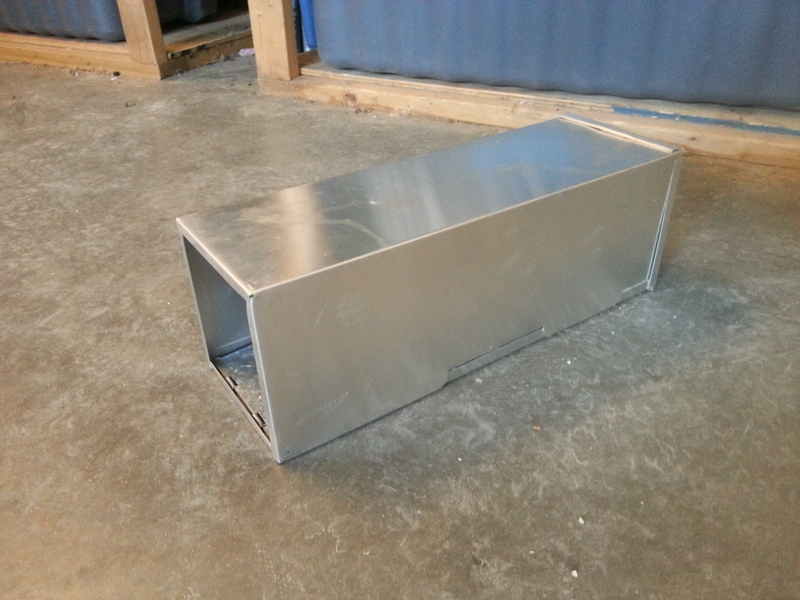 This Instrument Shelter is desgiend to hold a maximum/minimum thermometer and a calibration thermometer to ensure scientifically usable air temperature measurements. The voltmeter measures voltage, resistance, current and more. The GPS identifies latitude, longitude and elevation of your study area. This trap can be used to collect bark beetles. This color guide is used to identify the dominant color of plants to monitor seasonal changes. The user manually points the sun photometer towards the sun and the device measures sunlight. This tool helps you estimate a percentage of canopy cover. This flexible measuring tape is 30m/100ft in length. This tool can be used to measure angles. 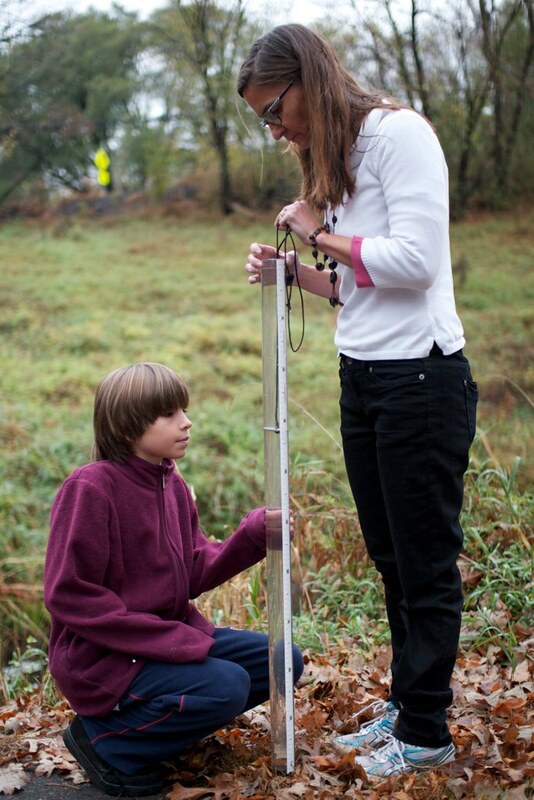 In the GLOBE project, the clinometer is used to calculate tree height. The clinometer is used for measuring angles. This model is small and sturdy. It measures angles and degrees for slopes and grades. This tool measures barometric pressure, temperature and humiditiy. 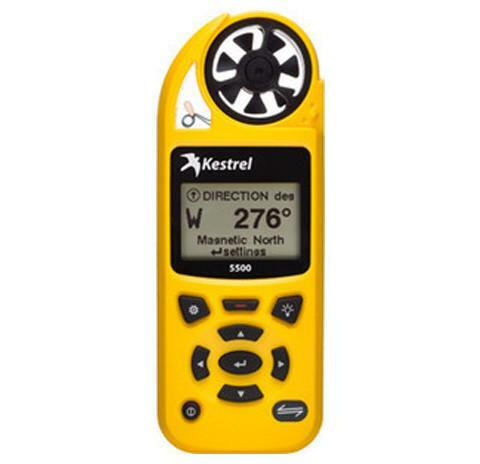 The barometer can be calibrated for use between sea level - 3,000 ft. Do not purchase for use above 3,000 ft. This instrument can be used indoors or outdoors. It measures both temperature and humidity. The tool comes with one sensor to receive data from up to 100 ft. away. An additional two sensors can be purchased seperately for multiple temperature and humidity readings. For use in pools, ponds, soil and much more. This scale allows users to standardize 10 shades from white to black. This thermometer measures temperature ranging from -30F to 160F. The closed metal or plastic case allows for total immersion. This soil thermometer measures the temperature of the soil from a depth of up to 7in. and for temperatures ranging from -40F to 160F. This IR thermometer can measure temperature ranging from -58F to 716F. A laser ensures accuracy and aim for non-contact measurements. This does not take accurate measurements of human or animal body temperatures. This clip-on 60x magnifier can be attached to cell phones of any make or model. There is also an LED light to aid observation. 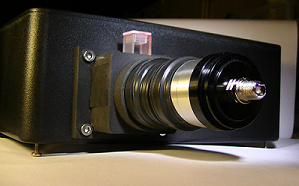 The line scan camera was developed for use in spectrometers, but could be suitable for any application that requires a 1-dimensional CCD. 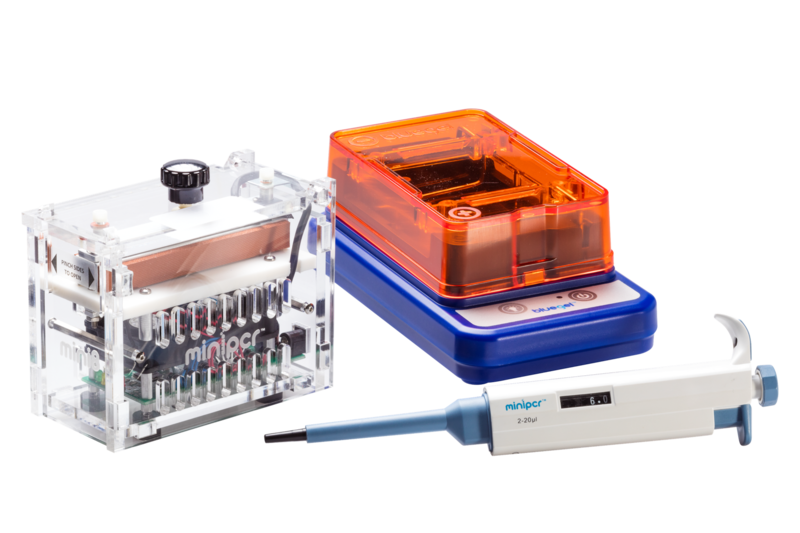 miniPCR is a set of tools to enable PCR to be used in educational settings for students to discover the power of genes. 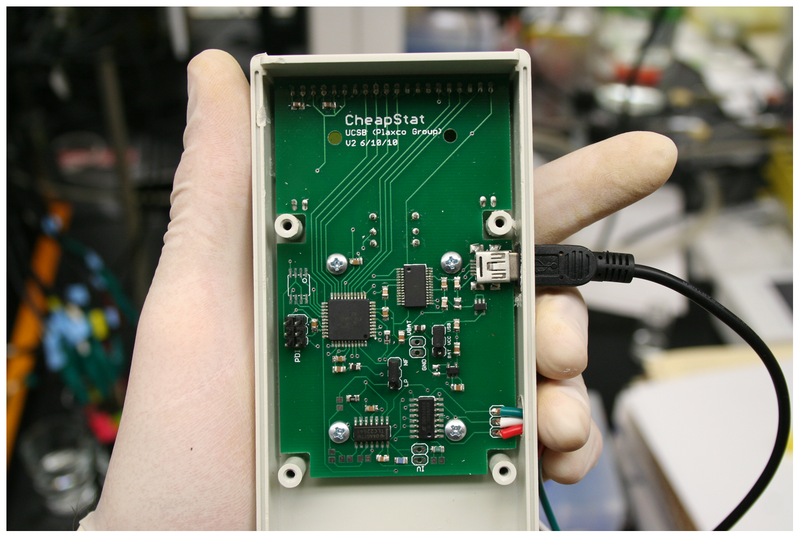 The CheapStat is a DIY potentiostat that allows users to perform electrochemical analyses. To solve any complex problem, collecting data is crucial. The environmental changes of today is no exception. Professional weather stations are rightfully used, but cannot be placed in every corner of the world. 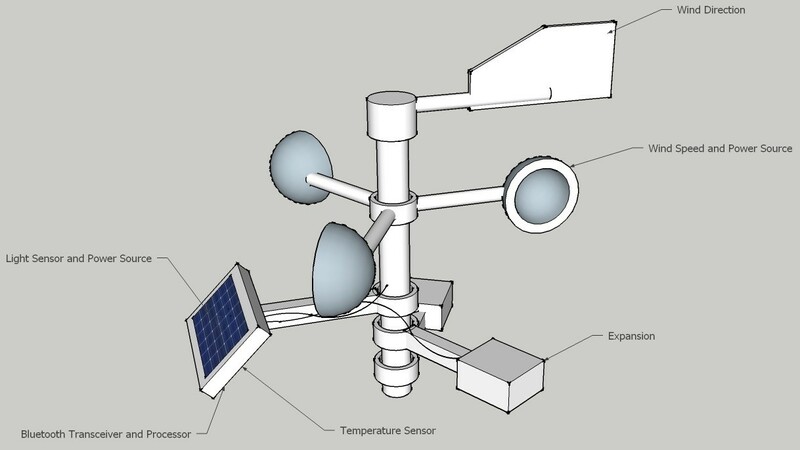 What if it was possible to make a cheap weather station, that almost everyone could afford? What if we together could help out with a piece of the puzzle, trying to solve problems ahead? Spectroscopy software for DIY spectrometers based on USB webcam detectors. Able to grab images from the webcam and convert them to spectra on the fly. Plus fully blown spectral processing & analysis capabilities. Free for non-commercial use. This is still a working prototype with 2 versions, 1 with the JDEPC-05 cmos webcam and currently in production is the TCD1304DG CCD detector (V1 driver circuit designed by David Allmon and built by me,) This is a proffessional grade spectral analytical instrument capable of quantative absorption/emission chemical analysis of organic and non-organic substances. The GSO Dobsonian line is particular model serves a very clear purpose, to offer a large aperture and an excellent image quality at reasonable cost. Set-up is as easy as you can imagine very simple assembly with the rocker box and put it on the ground, insert the telescope tube and put the springs in position and you're ready to go to navigates through the night sky by simply moving the tube up or down, or side to side, by hand. All GSO dobsonian use optical quality BK7 glass, cooling fans built into the rear cell to decrease cooling times, also all dobs use a roller bearing on the azimuth surface providing dozens of support points for smooth swivel motion. The deluxe model comes with 2" Micro 10:1 Crayford style focuser and 1.25" adapter. 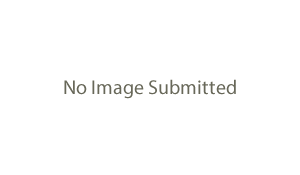 * 3 points mirror cell w/cooling fan. 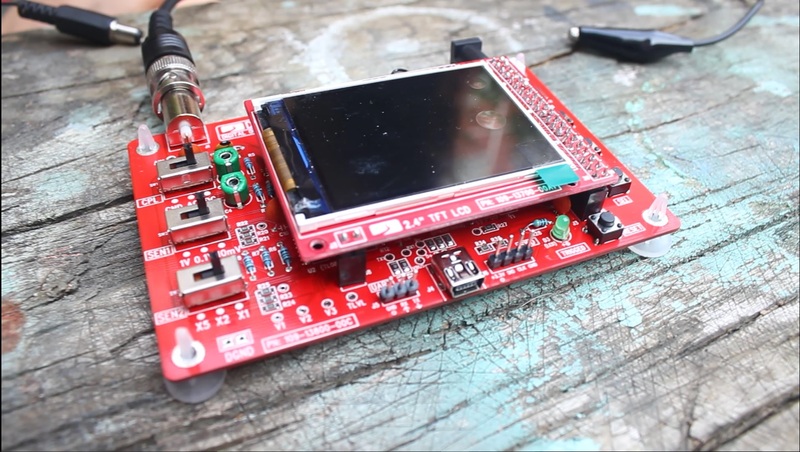 The FlyPi is an open source affordable microscope (less than 100 dollars for the basic version), that can be used in a lot of applications requiring amplification of tiny things/objects. In our more detailed description (http://biorxiv.org/content/early/2017/03/31/122812) we show applications in neuroscience, animal behaviour, diagnostics and education. Due to the open source aspect of the project, it can easily be adapted to uses we didn't think of, or test yet. This project has a specific target of providing a low-cost, open source technological kit to allow scientists, academics, hackers, makers or OSHW fans to hack their way to ultrasound imaging - below 500$ - at home, with no specific equipment required. 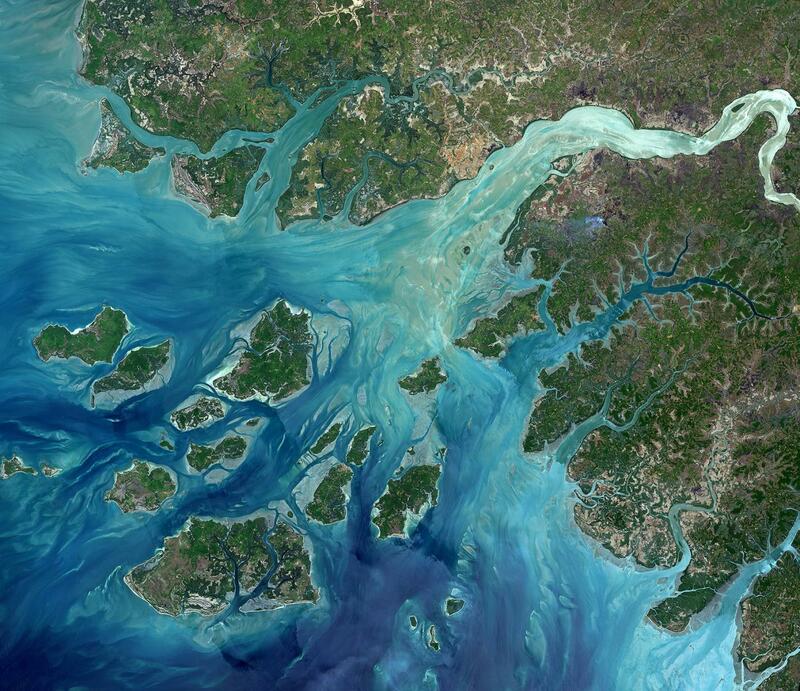 In this tutorial, we're going to focus on imagery from Landsat 8, a NASA (National Aeronautics and Space Administration) and USGS (United States Geological Survey) satellite. However, this can easily apply to older versions of Landsat data (Landsat 7 and earlier). These images can be used for mapping, trend visualization, examination of agricultural health, for education, or just for fun. A homemade telescope using recyclable stuff for poor people, looking for a way of making science beyond economic conditions. In short: a tool that can take science to everyone. Observing celestial objects at night. Safety warning - NEVER point a telescope at the sun. Even a brief encounter can permanently damage one's vision. Measuring power (in watts) in a low voltage (up to 50 volts) system. 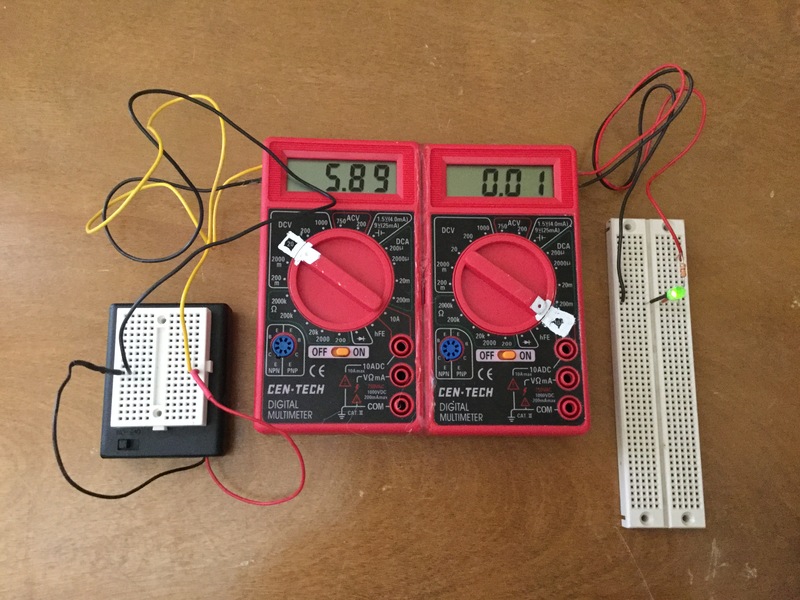 The Watt meter is of simple design, consisting of 2 cheap multi-meters, the first connected up in series with the circuit to measure current, the second connected in parallel to measure voltage. To use the watt-meter you connect the wires on one side (the left) of the meters to your power source and the other set of wires on the other side (right) to your circuit. To find wattage you simply multiply the 2 number together, and voila the wattage! I would assume that he/she has a bunch of wire lying about, so the only cost would be in the meters. You need 2! so that would be $11.98. BUT Harbor Freight always has these on offer at $3.99, sometime less. And once in a while, they give them away FREE. Yes you read that correctly FREE. In fact the total cost to me for the Instructable was ZERO. Don't you just love that number $0.00 !!! Warning Dr Smith!!!!. Please read the warnings on the Instructable WRT plugging in the test probes, etc. Harbor Freight is a tool supply company in the USA. Any meter would do, these where chosen as they are very inexpensive, and the shape makes them easy to glue together. In the photo, a small 3 AA cell battery is on the left, the meters are in the middle, and a simple LED circuit on the right. This meter has better accuracy when used with higher currents, such as 0.5 Amps or above. The wires in the photo are different to the ones shown in the instructable, this type of wire (solid core) was chosen so it could be used with breadboards. 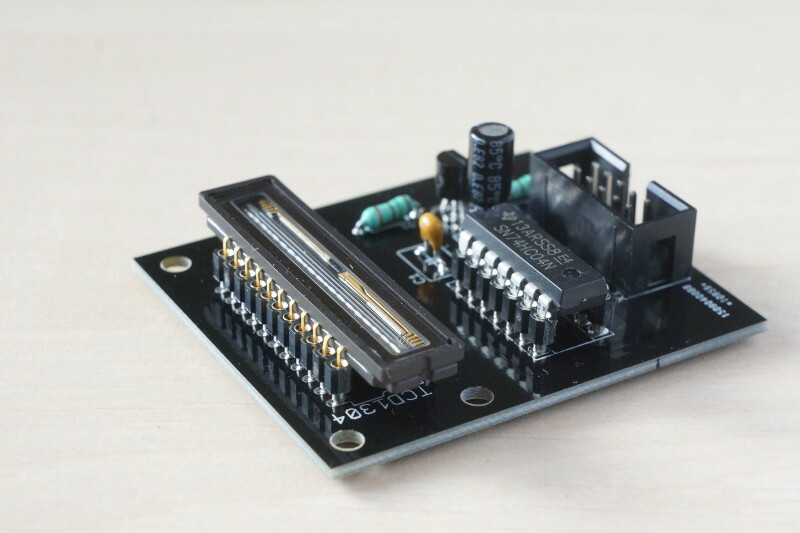 In it's current incarnation it is basically a gadget or classroom demo tool, but the Arduino code and principle of operation can be re-used to build a good tracker platform. This telescope is easy to use and robust. 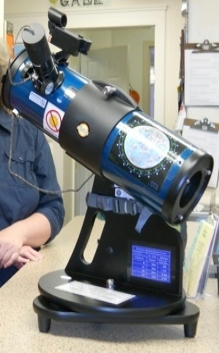 The large optical tube allows the moon and deep space objects to be seen with more detail than a typical beginner telescope and the large field of view keeps objects visible through the eyepiece longer before requiring adjustment. The telescope has been modified slightly to increase durability. This telescope is designed for entry-level to intermediate astronomers. It requires no set-up and provides bright, detailed views of the moon, planets, or other solar sytem targets. The Speck is an indoor air quality meter that measures fine particulate matter (PM2.5). Two years worth of data can be viewed on the Speck's touchscreen, online, or even through an app for on-the-go monitoring. This personal particulate matter (PM) sensor measures an individual's exposure to very fine airborne particles through a small, lightweight device that can be worn on the person. The MicroPEM monitors two sizes of PM: PM10 and PM2.5. The ToxiRAE Pro is a wireless single-gas and oxygen detector. Interchangeable sensors allow the user to monitor hydrogen sulfide, carbon monoxide, ammonia, chlorine, hydrogen cyanide, nitric oxide, phosphine, sulfur dioxide, and more. The AirBase CanarIT is an air sensor that can measure Ozone, Nitrogen Oxide and Volatile Organic Compounds (VOCs). Measurements are continually taken and data is transmitted through the internet. The UniTec SENSE-IT VOC sensor is used to detect volatile organic compounds (VOC). Each sensor is specific to one gas pollutant including CO, NO2, O3, C6H6, and more. The microAeth® Model AE51 air quality monitor measures Black Carbon concentration in real time and can run for 24 hours on a single battery charge. This device is small, lightweight and portable. This indoor air quality monitor can measure small particles (bacteria, mold, etc.) and large particles (pollen, etc.). The LCD screen provides the particle counts and the unit can store up to 30 days of data. The personal DataRAM pDR-1500 aerosol monitor measures particles in the air with a cut point range from 1.0 to 10 µm with real time results. The E-SAMPLER uses lightscatter and filter methods for quick and accurate sampling. It is rugged, portable and easy to use. Recommended applications include: ambient air monitoring, remediation site perimeter monitoring, indoor air quality monitoring, source monitoring, visibility monitoring, and mobile monitoring. The Model 202 Ozone Monitor is lightweight, has low power consumption, and detects ozone at rates ranging from 1.5ppb - 250,000ppb. This portable air quality monitor is used for real time measurements of a variety of common air pollutants. Sensors are housed in a separate, easy to change, cartridge allowing the owner to choose which gasses and how many gasses to monitor. Sensors that can be purchased include ammonia, carbon dioxide, carbon monoxide, chlorine, formaldehyde, hydrogen, hydrogen sulfide, methane, nitrogen dioxide, non methane hydrocarbons, ozone, perchloroethylene, PID, sulfur, or VOC. Platypus Technologies uses liquid sensors to detect the presence of air pollution including nitrogen dioxide, hydrogen sulfide, ammonia, nerve gases, volatile organics and pesticides. Custom solutions are available upon request. UPOD is an open source platform for mobile air quality and environmental monitoring developed by University of Colorado at Boulder. The design accommodates a variety of sensors and can be built to measure ozone, nitrogen dioxide, temperature, humidity, and barometric pressure. A small, wearable sensor (LEO, Little Environmental Observatory) detects nitrogen oxide, nitrogen dioxide and ozone. Then, via bluetooth, the LEO communicates with the ExpoApp (for Android) to display the current air quality reading on the user's device. This sensor measures traffic and industrial pollutants including carbon monoxide, carbon dioxide, nitrogen dioxide, ozone, particulate matter, temperature, humidity, noise, atmospheric pressure and solar radiation. It is designed for outdoor use by pedestrians and/or cyclists. Binoculars aid in observations by magnifying distant images. While different models vary in price, magnification, and ergonomics, the follow model was highly rated in the Cornell Lab Review 2013. 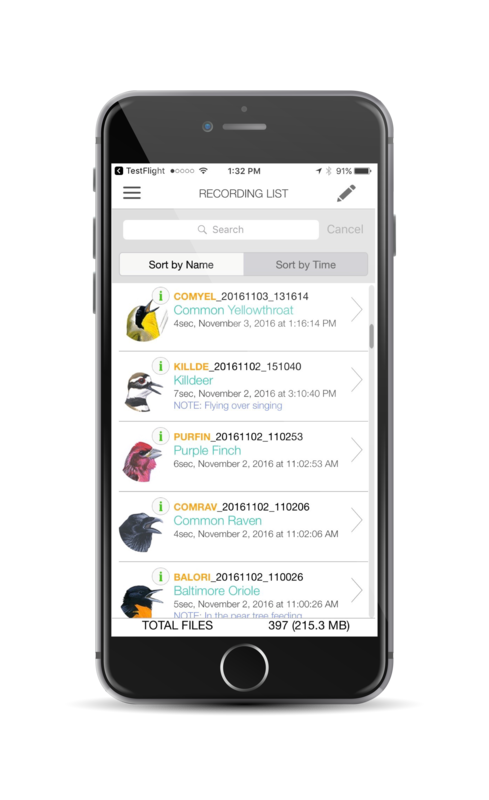 Song Sleuth is an iOS app (coming to Android in Fall 2017) that allows users to become better at identifying birds by their songs. When a bird is recorded singing, the app presents 3 species likely-match options. From there, the user can listen to song examples, compare spectrograms (visualizations of the sound), and David Sibley illustrations to determine which bird they heard or saw. Locate nearby records of dragonflies and damselflies and ID species in your area. Aquatic dipnet with 1/16 - 1/4 mesh size. Sturdy frame for the net. Long handle (4' +). This tool is used for the collection of larger sized plankton for the identification of bloom forming cyanobacteria. 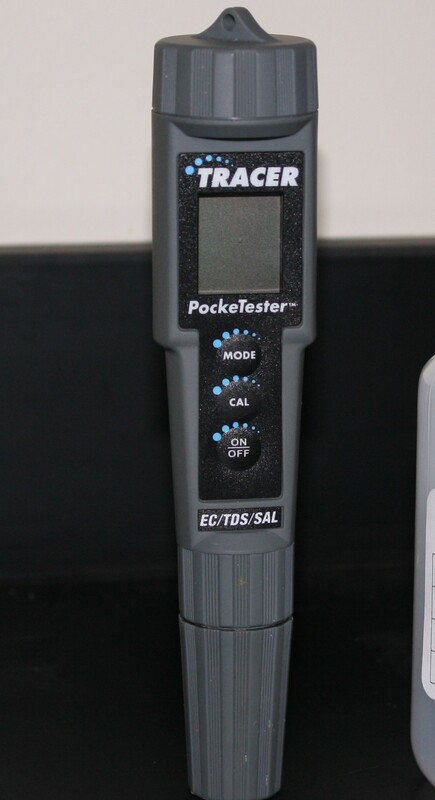 The LaMotte Tracer Pocket Tester provides a digital salinity reading of water. Various models offer additional tests as well such as salinity plus pH, TDS, or Temperature. "We don't know how well they perform in brackish water but when we tested 11 meters under $200 for conductivity, the most accurate, precise, and volunteer friendly was the LaMotte Tracer Pocket Tester (~$100). We chose this meter to do baseline conductivity testing in PA streams (50-600 uS/cm) and capture potential shale gas flowback water (<20,000 uS/cm). The data use goal was a regulatory red flag for state agencies to do follow up testing. It compares well with our lab bench top probe. It has three calibration ranges (84, 1413, and 12,800 uS/cm). The salinity readings with the pocket tester uses a ratio conversion factor based on the conductivity values." To collect raw acoustic data. An all in one science lab! 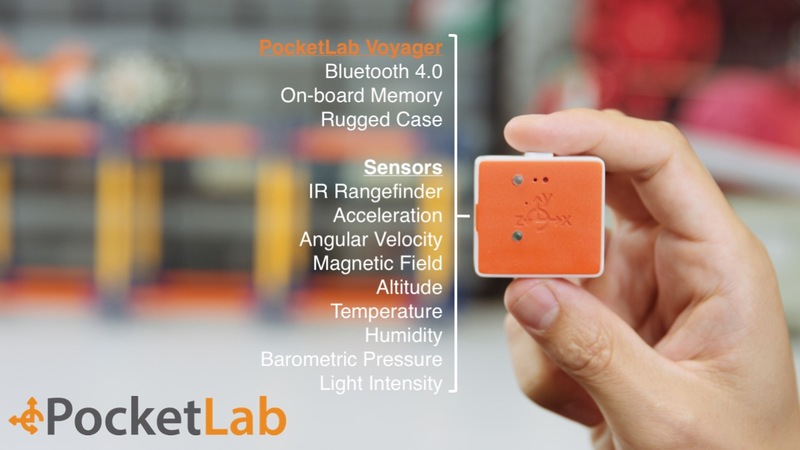 PocketLab Voyager measures acceleration, angular velocity, magnetic field, altitude, temperature, humidity, barometric pressure, and light. PocketLab Weather is a self contained weather station that you can leave outside to collect data autonomously for days or weeks at a time. Data can then be downloaded wirelessly to your computer or smartphone to view or analyze. 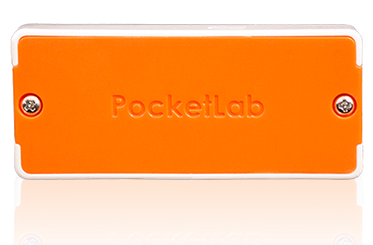 PocketLab Weather can measure ambient temperature, humidity, barometric pressure, light, temperature probe, dew point, altitude, and heat index. Passive NO2 Palmer diffusion tubes - these are "small plastic tubes containing a chemical reagent to absorb the pollutant to be measured directly from the air. In the case of Palmes-type nitrogen dioxide diffusion tubes, the absorbent used is triethanolamine (TEA). Stainless-steel mesh grids at the closed end of the tube are coated with a water-based or acetone-based solution of this absorbent. The Secchi Tube is used to measure stream water clarity or "transparency." The shore identification guide helps citizen scientists identify what they've found. 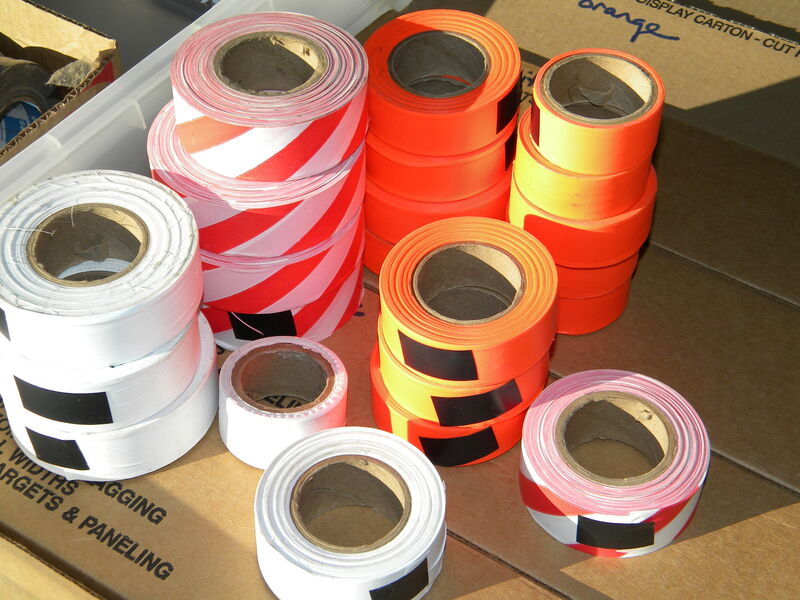 A DBH (diameter at breast height) tape is a measuring device that wraps around the circumference of a tree but is marked in intervals indicating the diameter. Taking the diameter of a tree at breast height is a standard measure in ecology and forestry. Flagging tape and wire stake flags can be used to mark off study areas and identify specific locations or objects for repeated data collection. Tomahawk traps are used to live capture medium-sized mammals. 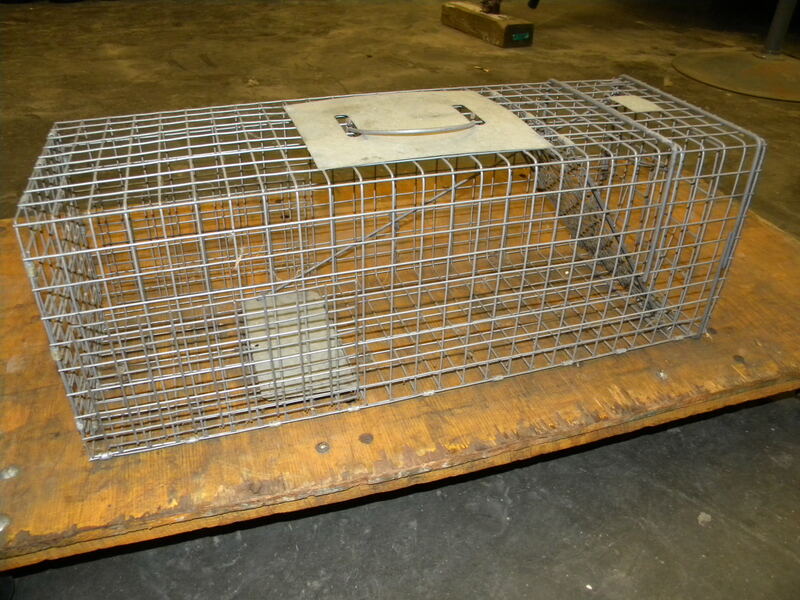 Sherman traps are used for live capturing small mammals. 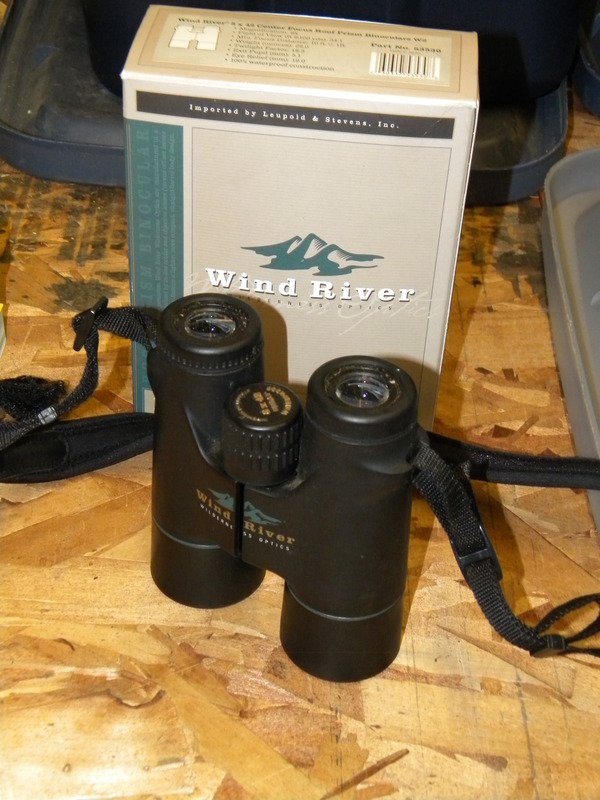 Binoculars are excellent for use in any bird-related monitoring, and can also be used when monitoring other wildlife. 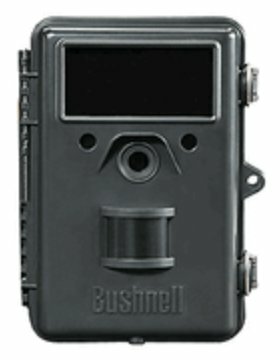 Trail cameras can be used for any number of wildlife monitoring projects. They are motion activated and can also be set to take photos at specific times. Public Lab's Foldable Mini-Spectrometer is used with a smart phone to allow the user to scan liquids, gasses or light sources to observe visible/near-infrared spectra. The data can be recorded and analyzed using free software, Spectral Workbench. A Secchi Disk is used for measuring turbidity in lakes, ponds or other bodies of water with little to no flow. A Secchi Tube is used for measuring turbidity in a stream or river. 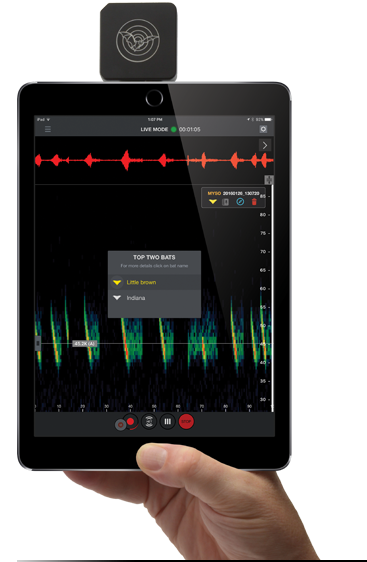 Echo Meter Touch is an innovative combination of hardware and software that lets you record and listen to bat calls in real-time – on your iPad, iPhone or iPod touch. MudWatt: Clean Energy from Mud! 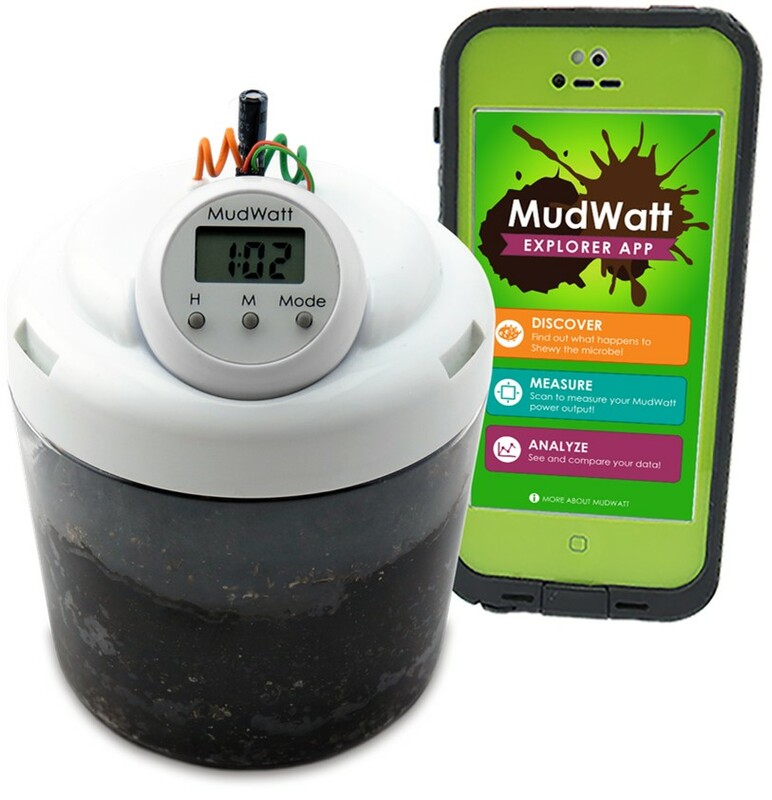 MudWatt engages kids in STEM in a whole new way, using the power of mud! It harnesses the power of electricity-generating bacteria naturally living in the soil beneath our feet! Kids experiment with their local soils and sediments (and food from the fridge) to maximize their power output. The MudWatt Explorer App lets kids measure their power, track their MudWatt’s bacteria growth, and unlock an awesome educational comic book! This tool is used to catch insects. 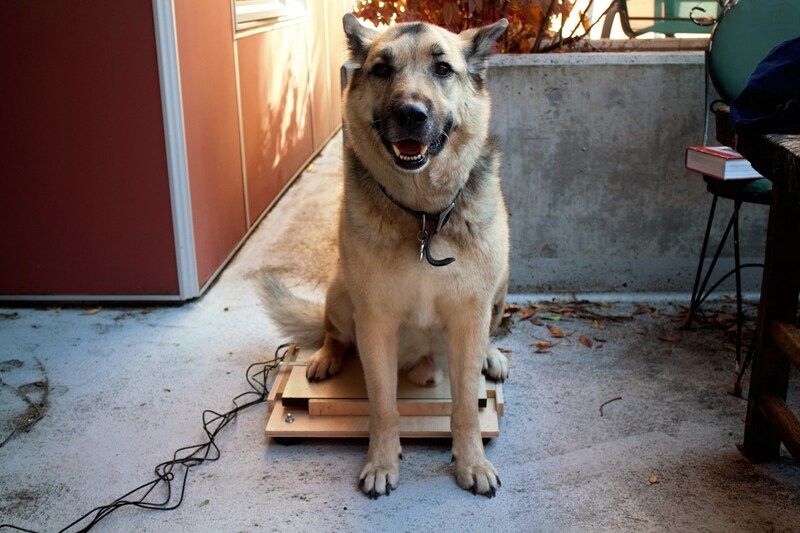 The BeagleBox is a field laptop designed for durability and basic computing. Niskin3D is used to take water samples. Parts are 3D printed and, once completed, is compatible with the OpenROV. Niskin3D can be adapted to a variety of platforms. The Oceanography is for Everyone team developed the OpenCTD to measure conductivity, temperature, and depth of a vertical profile. Find the open-source directions through the link below. The SA1100 Scanning Analyzer can measure the concentration of lead or copper in water. The Micro Phone Lens turns your phone or tablet into a microscope. Available in 4x, 8x, 15x, and 150x magnification. Works with any device. A Sweep Net is used to collect flying insects in grasses, weeds, or flowers (soft habitats). A device used to focus artificial light onto a sheet in order to collect insects at night. Aerial nets are lightweight and used to catch insects flying through the air or perched on something. AirBeam2 is a sensor that measures Nitrogen Dioxide. AirBeam tracks the data on the corresponding android app and, after the recording session, the data is compiled on a central website. The World Water Monitoring Challenge Basic Kit provides equipment to measure pH, dissolved oxygen, temperature and turbidity. The foraging patch is used to monitor feeding behavior. 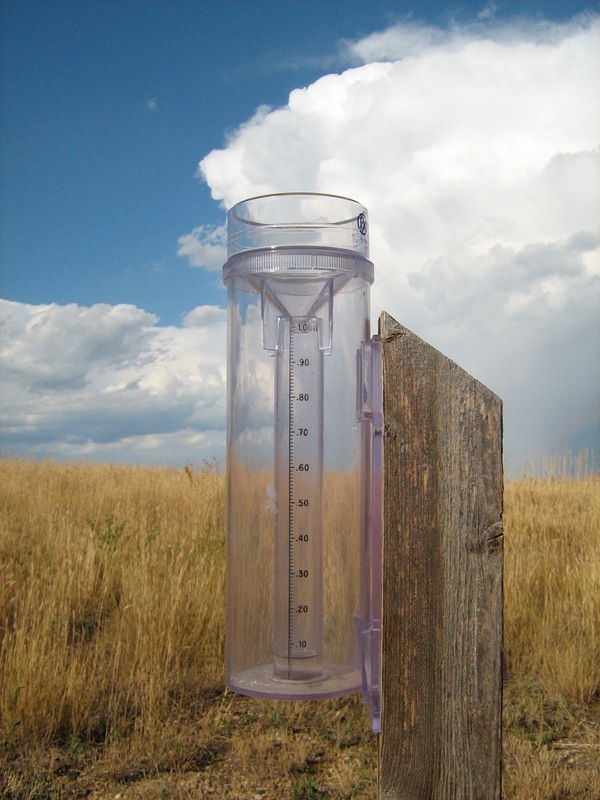 The 4-inch manual rain gauge can measure up to 11 inches of precipitation with accuracy to the nearest 1/100th of an inch. By removing the funnel and inner measuring tube, the water content of snowfall can also be measured. The gauge meets specifications required by the National Weather Service and is intended to be read and emptied once every 24 hours. The Award winning Dark Sky Meter by DDQ helps you measure the night sky brightness with the press of a button. Get instant information about the night sky quality, cloudyness and seeing and contribute to create a global map of sky darkness. •Find out how good the night or site REALLY is. •Compare the sky brightness at different sites quantitatively. •Document the evolution of light pollution in your area. •Set planetarium dome illumination to mimic the skies people are likely to experience elsewhere in the city. •Monitor sky brightness through the night, night-to-night, and year-to-year. •Determine which nights show the greatest promise for finding the 'faintest fuzzies'! •Calibrate the effect of sky brightness on qualitative measures such as the Bortle Scale. •Investigate how sky brightness correlates with the solar cycle and month-to-month sunspot activity. •Help provide local ground truth for future sky brightness prediction with the Clear Sky Clock. •CCD users can make a correlation between the SQM reading and when the background reaches some ADC level. A tool used at night to attract and trap insects for study. 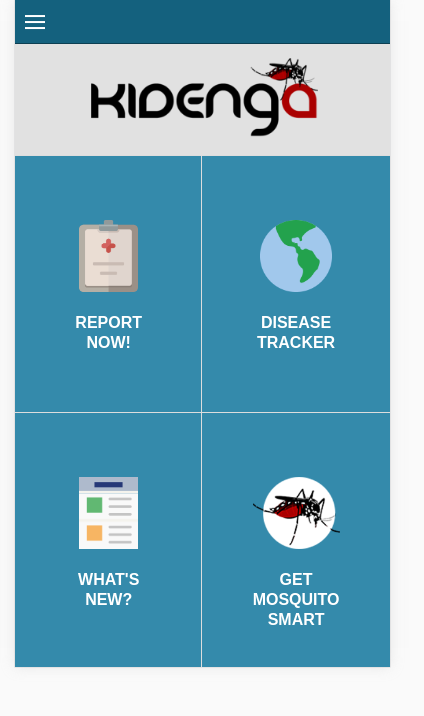 This is a community-based surveillance and education app addressing mosquito-borne diseases. Specifically, it is used to identify syndromes consistent with Aedes-borne diseases (dengue, chikungunya, and Zika), track day-biting mosquito activity, and provide a platform for message dissemination on risk, prevention, and control. NECi's handheld photometer sends nitrate & phosphate data to Android mobile devices when used with NECi's enzyme-based test kits. This handheld tool is perfect for water, soil, or plant tissue analysis of accurate nitrate or phosphate content. The enzyme-based test kits provide the reliable results while the photometer design ensures accurate translation of the quality data. The turnkey design of NECi's photometer + test kit bundles ensures that any citizen scientist can pick up the devices and collect accurate nitrate & phosphate data. The app software allows teams to effortlessly share results & coordinate projects with team members. Use the AirVisual Pro to measure air quality (indoor and outdoor). 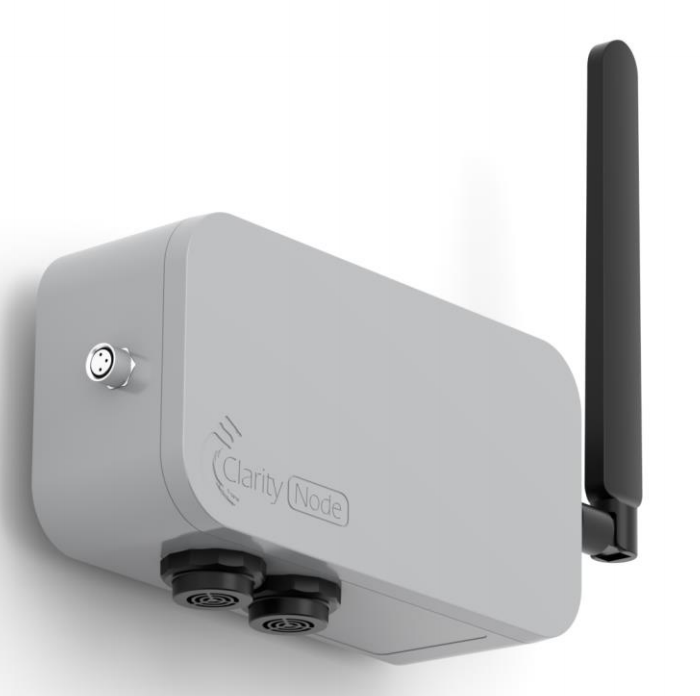 The sensor monitors PM 2.5, CO2, temperature and humidity. The display clearly shows these readings along with comparisons from local outdoor monitoring stations. The foldscope microscope is a low-cost microscope designed to be comparable to research grade equipment. 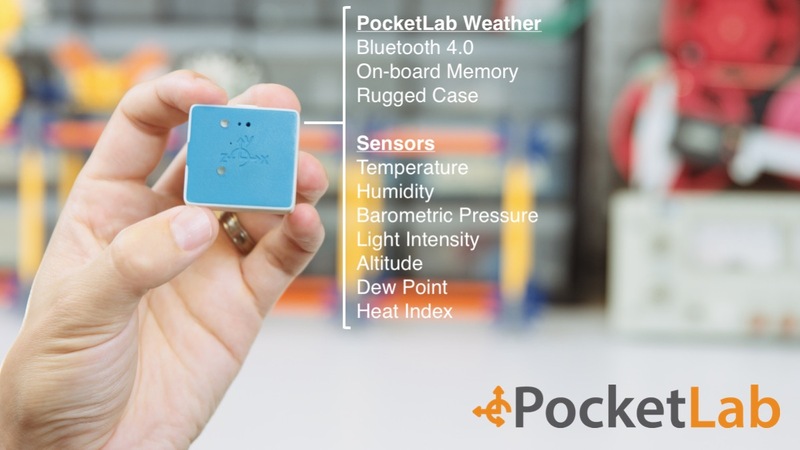 PocketLab includes 5 sensors (accelerometer, gyroscope, magentometer, temp, barometric pressure) and connects to a device like a cell phone via bluetooth. 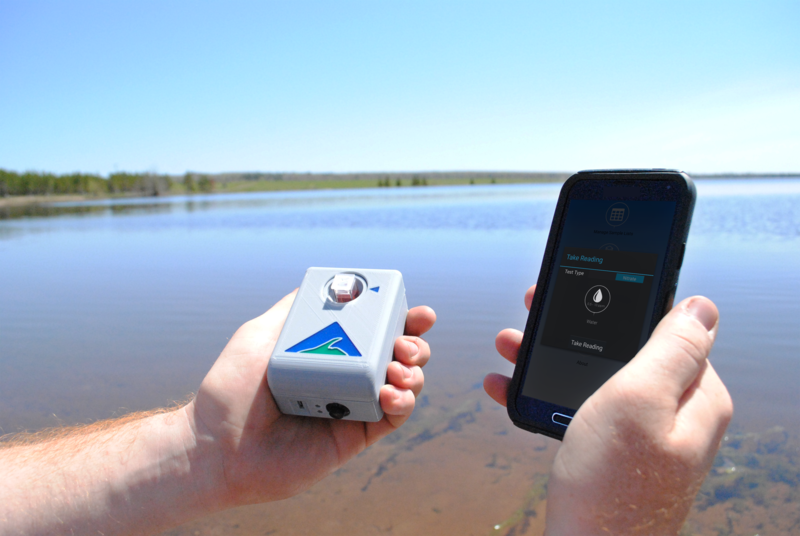 InSpector is used in conjunction with a smartphone and app to quantify water quality measurements with color indicators. 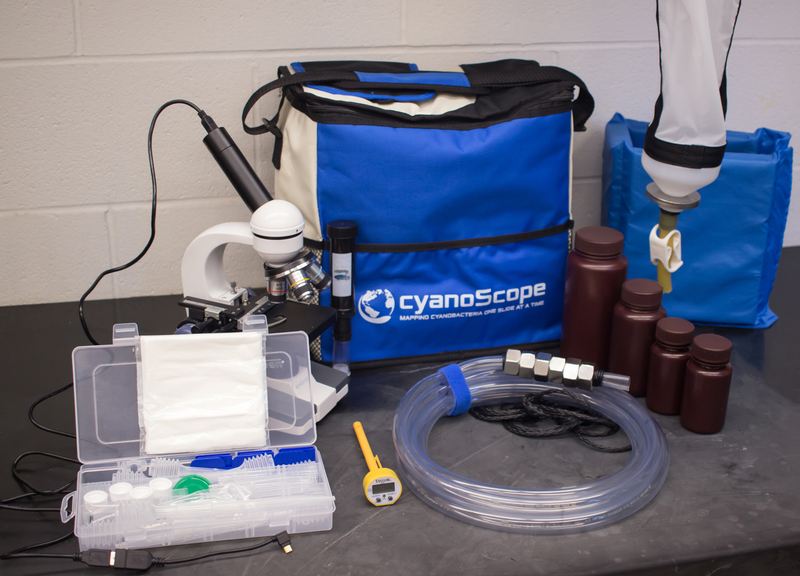 The CyanoScope Kit provides materials to collect and observe cyanobacteria. This kit contains a student microscope with digital optics and software, a 53 micron plankton net, an integrated tube sampler, a plankton separator, a carrying case, assorted bottles, microscope slides and cover slips, pipettes, and thermometer.